Police still looking for objects from fallen Navy Seal as we left Liberty Landing. 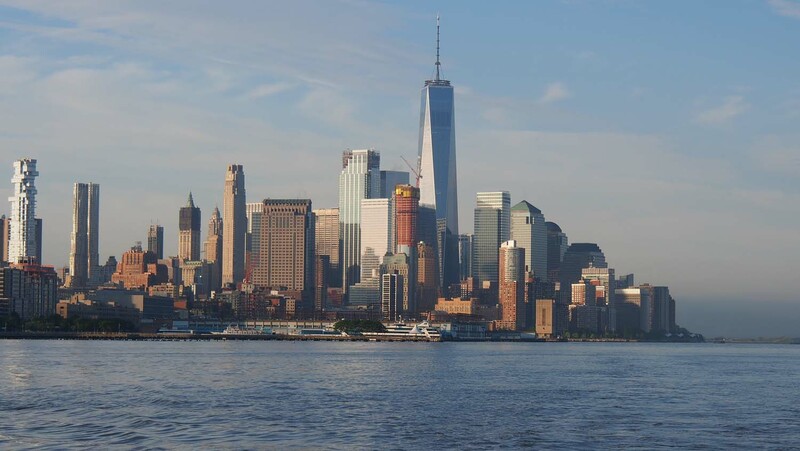 We enjoyed Manhattan as we went north on the Hudson. I stayed as close as I could without police or Coast Guard intervention. They might wonder who is on that 25 ton boat and how much of that 25 tons might be high explosive. NYC is a target. 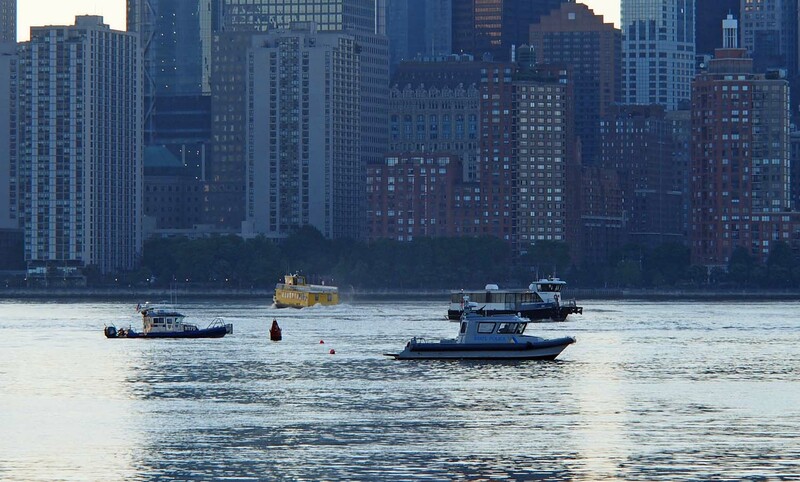 The Navy was gone but the cruise ships and the Intrepid are still there. We arrived in Haverstraw Marina before 1 PM. Dave and Barb from Hallelujah were also there so it was good to catch up. 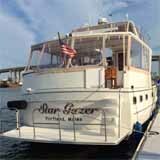 They were also going north but soon leaving their boat to visit relatives in Maine. We were leaving the next day to DC to pick up our youngest son Jordan and two older grandkids Ethan and Aaron at Reagan National. 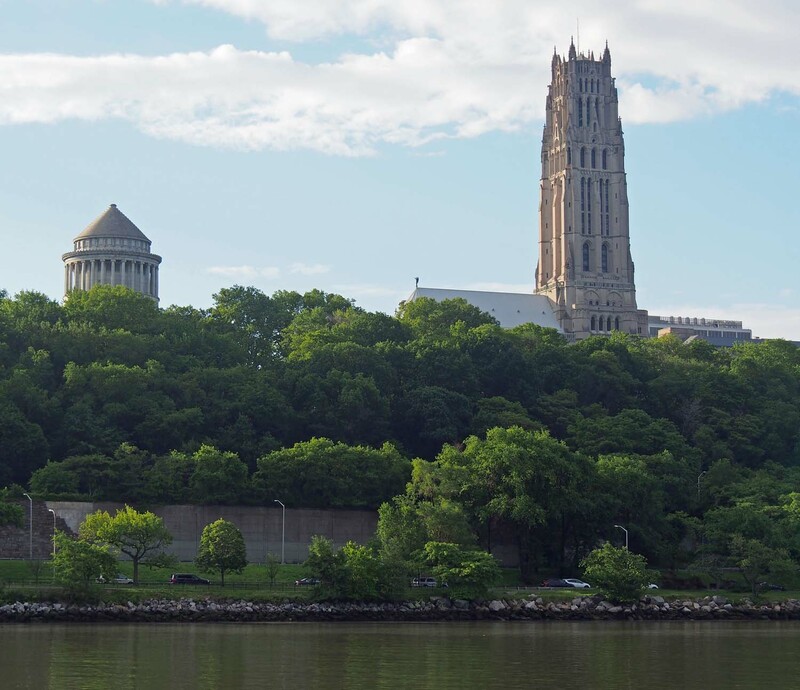 Grant’s tomb, made famous by Groucho Marx’s quiz question, and St John’s in Harlem. 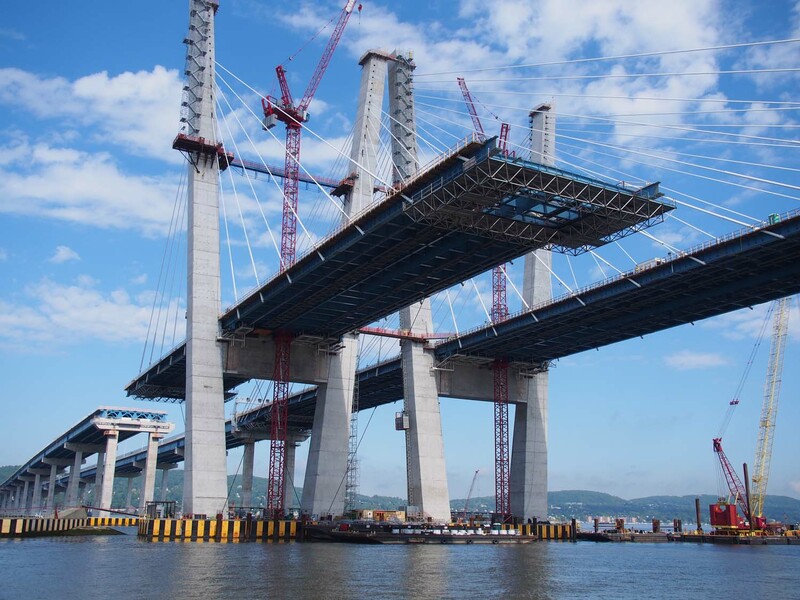 We’re well out of NYC when we pass the new Tappan Zee bridge. 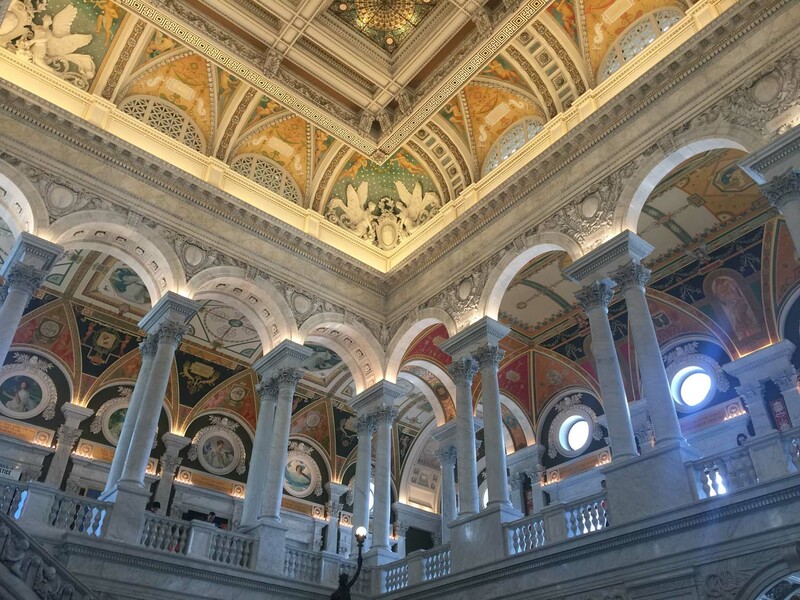 Sue wanted to do the Capitol, Library of Congress, Museums and monuments with everyone. We were originally thinking of Boston and Newport RI but Ethan and Aaron had never seen DC and Jordan was very young when we last took him there. The museum order of enjoyment for the kids was Natural History, Art, Air and Space and American History. 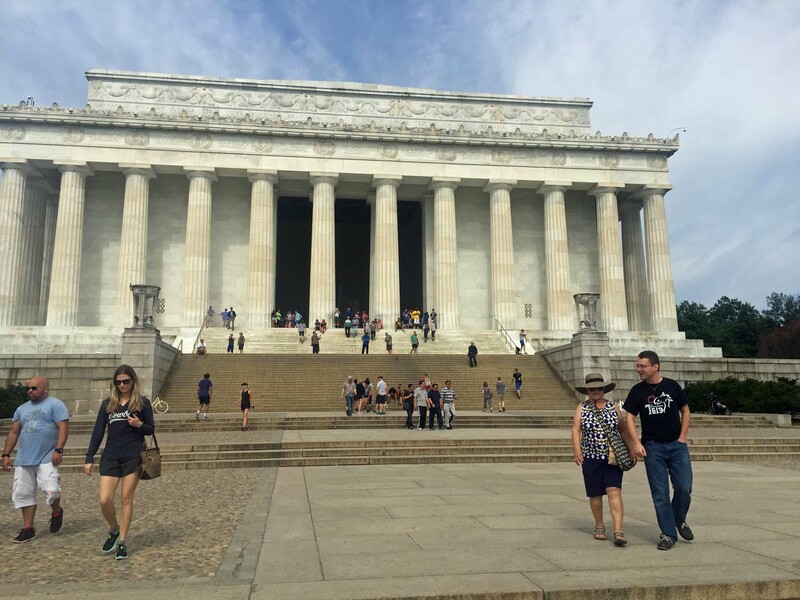 On our first day we saw the Lincoln Memorial and then walked east on the mall. There was an old guy at the WWII monument. His son told us how he had been bomber crew shot down over France. He hid in a farmhouse and then with the resistance for 8 months before making it back to England. There will never be enough books to tell all the stories. Sue and Jordan leaving the Lincoln Memorial. Among Americans, no man spoke as this one did. I left Sue and the kids at the Capitol and went to the Rayburn house office building for tickets to the Senate and House Chambers. I used a tunnel that first passed through two other such buildings. A lot of walking and long halls. I saw mostly young people who work for nothing to fix up their resume. Of course chances of meeting a real senator or representative were near zero. I asked directions of the first distinguished gentleman going my way and then asked what he did. He was a lobbyist. So I ventured, “You with healthcare?” Bingo! We talked more, but not about his job. IMO the Obama team screwed up healthcare. I think the Republican’s chances of doing any better are slim. 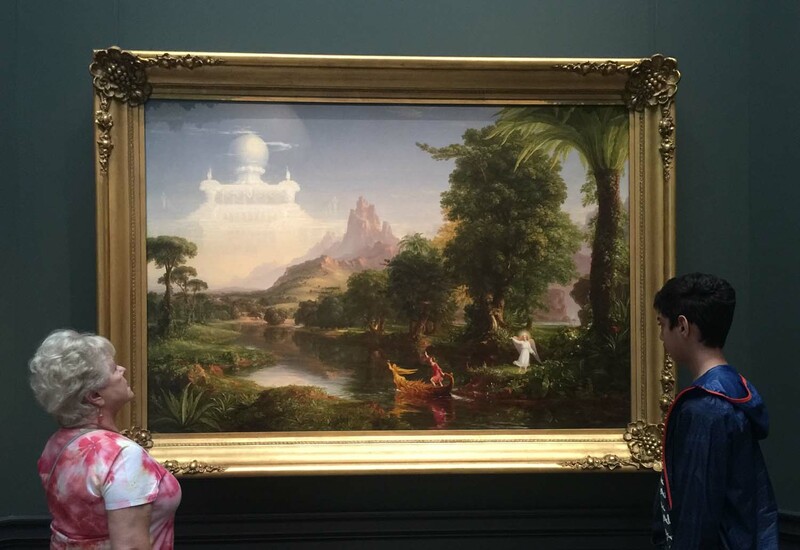 The second of Thomas Cole’s “Voyage of Life”. Our favorite paintings at the Gallery. This morning Jordan returned to Austin and the rest of us took a one way rental back to Haverstraw NY. Big disappointment now that we’re back at the boat. I gave the marina boss a list of things to fix/maintain on the boat, dinghy and motorbike and was assured all would get done. I’ll check for sure tomorrow but it appears nothing at all has been done. This is not a huge surprise. It is usually difficult to get a boat fixed. We’ll look for a more reliable place. Jefferson’s library is on display in the Library of Congress. He owned this book as well as his slaves. We’ll take a day tomorrow for groceries and for me to put back the things they were to work on and leave for the north the next day.